Home Who are we? 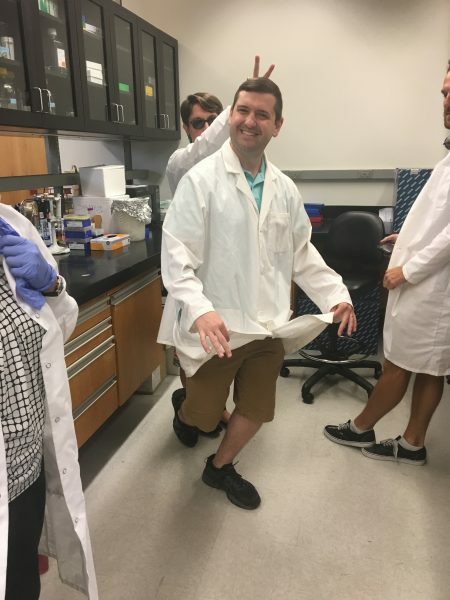 Postdoctoral Associates Sean Crosson, Ph.D.
Sean received his Ph.D. in Biomedical Sciences with a focus in Genetics from the University of Florida in 2018. His research focused on investigating the role of adiponectin in taste receptor cell signaling and taste perception. He also investigated potential Adeno-associated viral (AAV) gene therapy treatments for obesity, specifically by expressing the anorexigenic molecules, peptide YY (PYY) and glucagon-like peptide 1 (GLP-1) in obese disease models. Sean’s interest in the gene therapy applications of AAV drew him to the Boye lab where he researches dual-AAV vectors for the treatment of Usher’s Syndrome.